Julie Chen reveals she had plastic surgery to Westernize her look. 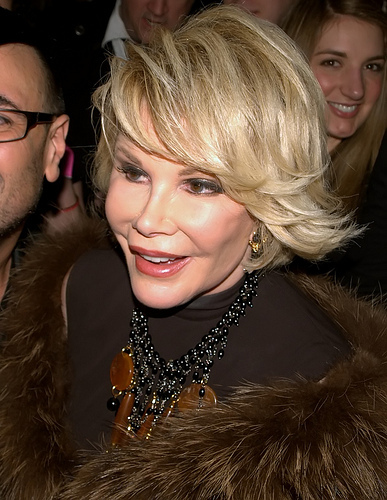 Unlike Joan Rivers who had plastic surgery to look like an alien. Michael Jackson had plastic surgery and who knows what else to make himself look like an androgynous Caucasian. We’re all usually much better off if we pretty much leave ourselves alone (except for hair coloring and makeup, which are right and sacred). If aliens do visit us, it might be handy to have Joan Rivers around.